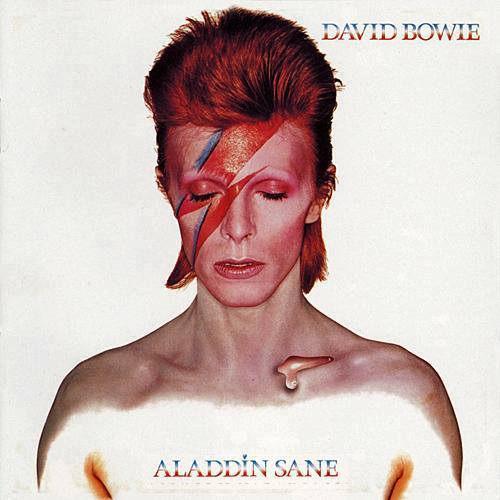 A new Bowie character, Aladdin Sane, was an extension of the Ziggy character and described by Bowie as “Ziggy going to America,” complete with a red lightning bolt painted across his face and red hair on the album cover. Most of the songs were written while touring for the “Ziggy” album. In 2003, the album was reissued with bonus tracks and in 2013, a remastered 40th anniversary edition was released. Despite the singles not charting very high in America, “Aladdin Sane” would still go on to become one of Bowie’s most successful albums, selling nearly 5 million copies worldwide.